Where Passenger Pigeons roamed: Principal nesting sites were in Wisconsin, Indiana, Michigan, Ohio, Ontario, Pennsylvania, New York, and New England, but the bird’s normal distribution was much wider. Lewis and Clark recorded pigeons in Idaho. This year, we’re marking the centenary of the extinction of the Passenger Pigeon. 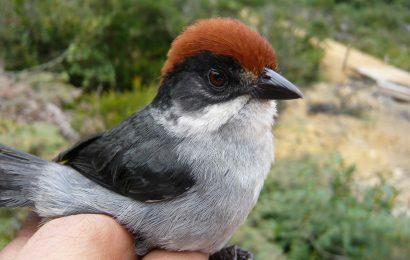 As Joel Greenberg describes in an article in our February 2014 issue, the species declined rapidly — so fast that its ultimate disappearance shocked and puzzled people. Some even disputed that the bird had actually vanished. But Martha truly was the last of her kind. The timeline below tracks the demise in just 422 years. 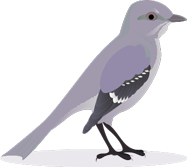 Read “Like Meteors from Heaven,” Joel Greenberg’s article about the Passenger Pigeon. 1492: Passenger Pigeon population likely numbers 3-5 billion birds, or roughly 40 percent of all avian life on the continent, as Columbus arrives. July 1, 1534: French explorer Jacques Cartier becomes the first European to see Passenger Pigeons, on Prince Edward Island. July 12, 1605: Samuel de Champlain becomes the first European to kill Passenger Pigeons, when he visits the coast of Maine. 1800-1860: Population declines slowly as large numbers of people move westward. 1806: Alexander Wilson calculates that a flight he observed in Kentucky included 2.23 billion birds. 1813: Audubon encounters a flight along the Ohio River that darkens the sky for three days. “The dung fell in spots not unlike melting flakes of snow,” he writes. 1830: First rail service commences. In 30 years, there would be more than 30,000 miles of tracks, establishing national markets for pigeons. 1844: First telegraph line opens. 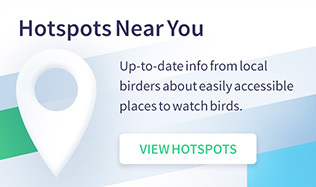 By 1861, an intercontinental line would be completed, making it possible to share pigeon locations with a nationwide audience, including professional hunters. Throughout 2014, Project Passenger Pigeon will use a documentary film and a host of exhibits and programs to raise awareness of human-caused extinction, explore connections between humans and the natural world, and inspire the building of sustainable relationships with other species. Find a calendar of events and information on how you can take part at passengerpigeon.org. 1847: Bénédict Henry Révoil, based on observations in Kentucky, predicts that unremitting slaughter would lead to the bird’s extinction. 1851: Vermont becomes the first state to give modest protection to pigeons, prohibiting the destruction of nests and eggs. 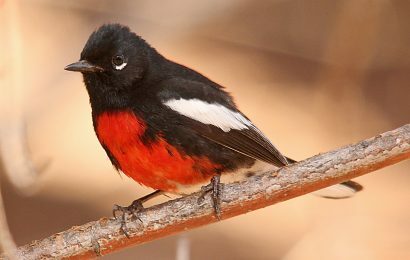 Around 1860: A flight at Fort Mississauga, Ontario, likely exceeds one billion and perhaps includes as many as 3.7 billion birds. 1871: A nesting in central Wisconsin spans 850 square miles and, excluding squabs and non-breeding adults, holds 136,000,000 nesting pigeons. 1875: The Cincinnati Zoo opens in September, becoming the nation’s second zoo. Among its holdings is a flock of Passenger Pigeons. 1878: The last huge nesting occurs across the three northernmost counties of the southern peninsula of Michigan, and for the first time, laws are enforced limiting how far from the actual nesting hunting could occur. 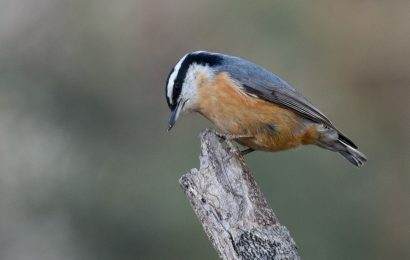 Nonetheless, more than 10 million birds are killed. 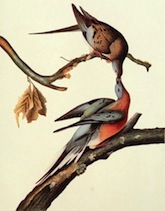 Passenger Pigeon (Columba Migratoria), by John James Audubon [Public domain], via Wikimedia Commons. 1882: The last nestings involving as many as a few million birds occur in central Wisconsin and Kettle Creek, Pennsylvania. 1888: David Whittaker starts a captive flock in Milwaukee. 1890: The wild population is estimated to include no more than a few thousand birds. 1895: The last nest and egg to be found in the wild are collected near Minneapolis. 1896: Charles Otis Whitman of the University of Chicago acquires some of Whittaker’s birds. 1897: Michigan becomes the first state or province to ban all hunting of Passenger Pigeons. 1898: The last specimen to be taken in Canada is shot in Winnipegosis, Manitoba, in April. 1902: The last wild Passenger Pigeon is shot in Laurel, Indiana. 1902: Whitman sends a female Passenger Pigeon to the Cincinnati Zoo. Known as Martha, she shares a cage with a pigeon named George. 1911: George dies, leaving Martha as the last of her species. 1914: Martha dies on September 1. Passenger Pigeon becomes extinct. 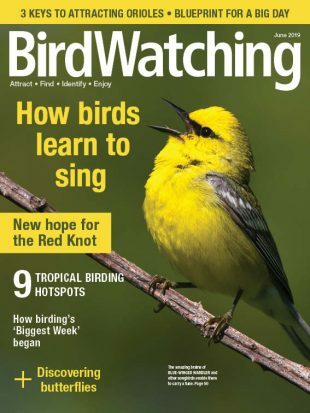 This timeline was part of an article written by Joel Greenberg for the February 2014 issue of BirdWatching magazine. Greenberg is a founder and principal of Project Passenger Pigeon and the author of A Feathered River Across the Sky: The Passenger Pigeon’s Flight to Extinction (Bloomsburg, 2014), a book we featured in our December 2013 issue. He also wrote Of Prairie, Woods, and Water (University of Chicago, 2008) and A Natural History of the Chicago Region (University of Chicago, 2002).